Hi friends! Have your seen our Time Out Challenge? We still have another week to go on this one. 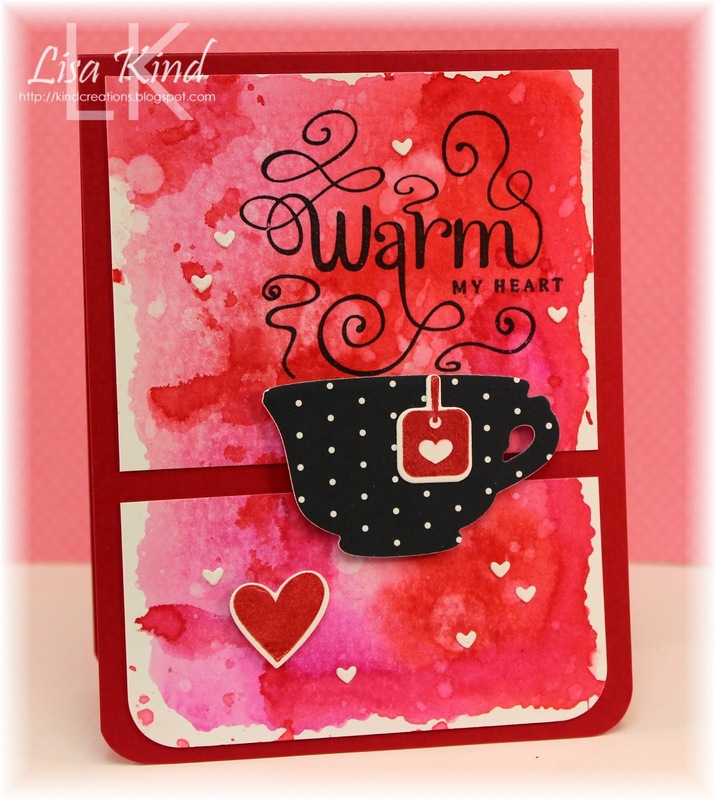 The challenge is to make a Valentine's Day card with the option of using hearts. I made another card for this challenge. I did some watercoloring (sort of) for my background. All I did was put some distress inks on my clear block, spritzed it with water, and smooshed my water color paper into it. Once I dried it, I sprinkled some water droplets on it to remove some color. I rounded the corners then cut it almost in half. The sentiments were stamped then added the cup on dimensionals. I added some little white hearts that were die cut from a larger die that I thought I was going to use, but didn't (these were the left over pieces from the die cut). The larger red heart was put on dimensionals too. 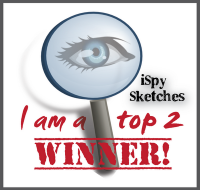 The sketch was from last week's Freshly Made Sketches (I missed the deadline but this card was made before this challenge was over!). Hi everyone! 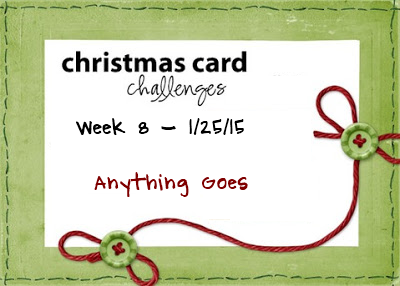 This week over at Christmas Card Challenge is our Anything Goes challenge (as long as it's holiday related!). I was once again at my favorite stamp store in Buffalo, NY...Buffalo Stamps & Stuff. The owner, Sharon, has the most amazing store! She has all the most popular products on her shelves and then some! I had last Monday off so I popped in for a peek. I saw a card there made with this die and had to re-create it. Luckily this week is Anything Goes, so I was happy! I die cut this Cottage Cuts die from what I believe is pool cardstock from SU...or maybe aqua mist from PTI. 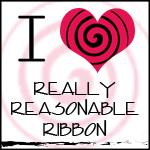 It's one of the cardstocks I DON'T have labeled. I backed it with some white glitter paper from Hobby Lobby. The base of the card was run through a PTI impression plate and done! I toyed with the idea of adding a die cut word, but this was just so pretty on its own and the word interfered with the design. 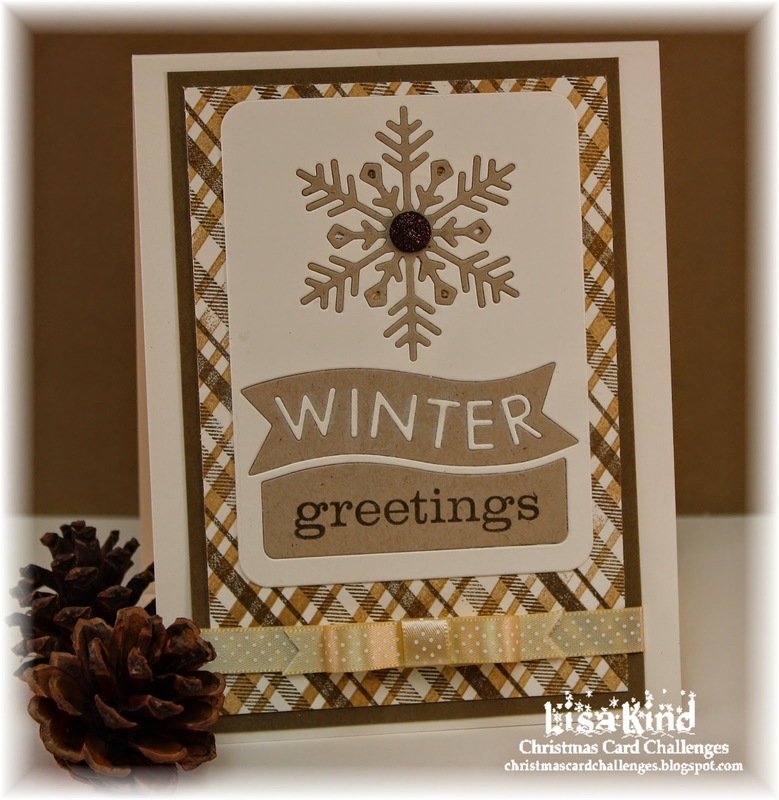 Super simple card to create! You can see more great designs from the design team on these blogs. 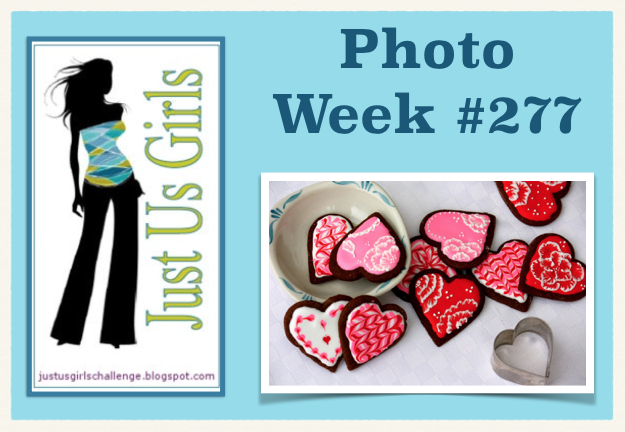 It's getting close to Valentine's Day and we have a great photo inspiration for you over at Just Us Girls. I just got some new goodies from Simon Says Stamp. They arrived in the mail today just in time for this challenge. I die cut this heart die from early espresso cardstock. I love brown with pink or red (or any other color for that matter!). The inside heart was cut from some pattern paper to get a design like the cookies in the photo. 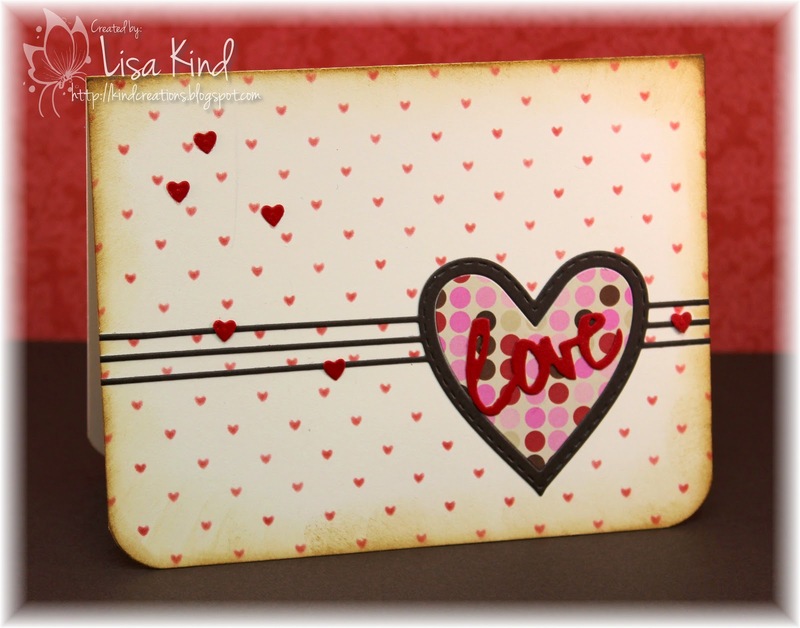 The heart background was created with another new goodie...the tiny hearts stencil. I used red ink and a dauber to get these little cuties on there. 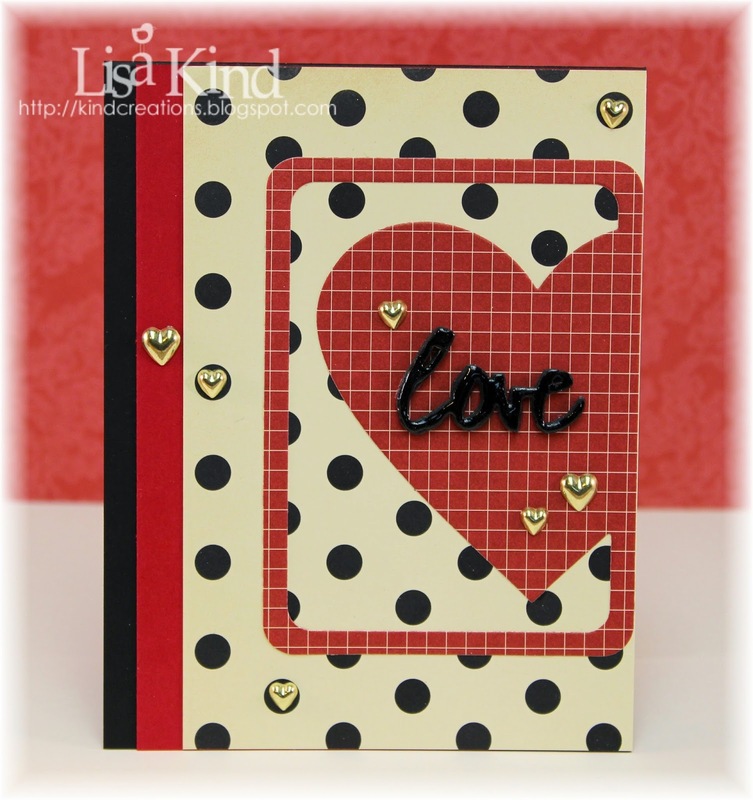 The tiny hearts were cut using a die from the MFT Blueprints #11 set. Wink of Stella shimmer was used on the little hearts and the die cut word. Something was missing on this card, so I rounded the bottom two corners and distressed the edges with distress ink. You can see more on the design team blogs below. Hi everyone! 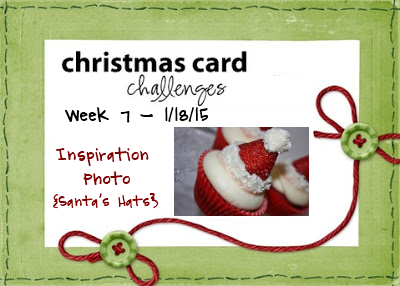 The Christmas Card Challenge this week is an inspiration photo. I decided to make a tag this week (I just love them! ), and I knew exactly the stamp set that would be perfect for this challenge. This set is from My Time Made Easy. 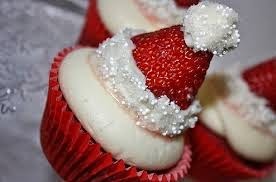 I stamped and colored the Santa hat then cut it out. For the furry parts, I used a Versamark pen and sticky embossing powder then added the Star Dust Stickles glitter. It's really sparkly! 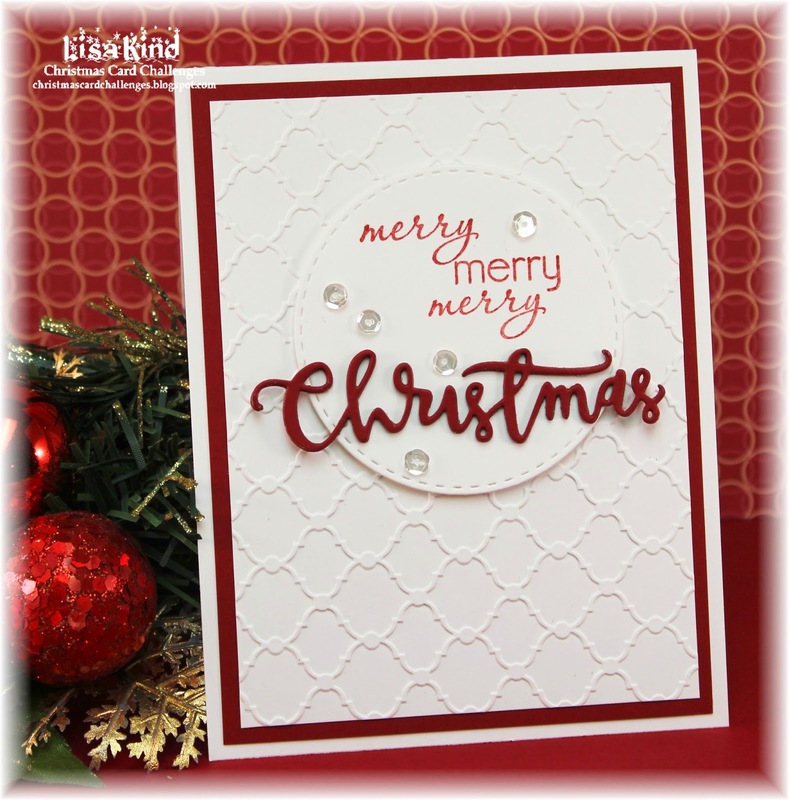 The sentiment and snowflakes were stamped in red and I added silver pearls to the center of the flakes. I matted it offset on another tag in red cardstock. Gingham ribbon and a snowflake button finished off the tag. Hi friends! 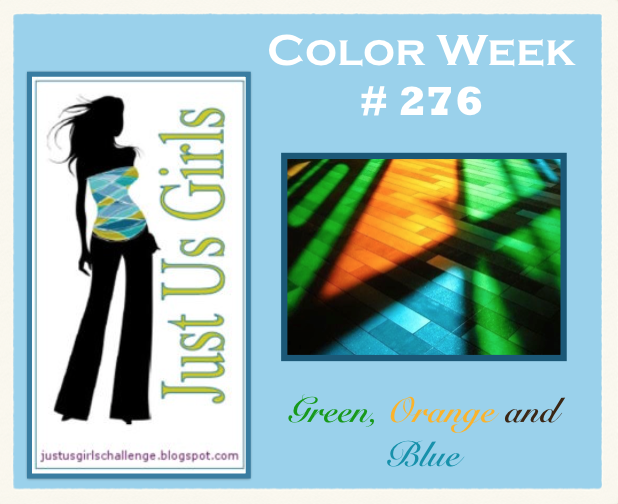 This week over at Just Us Girls is color week. 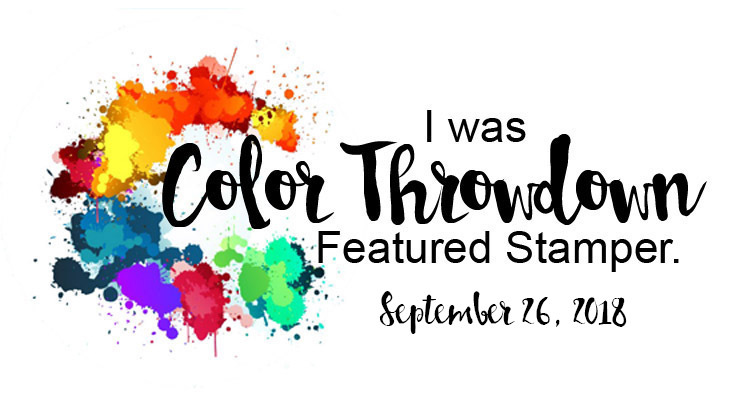 Maria chose three great colors...green, orange, and blue! I have a friend who recently had her gall bladder removed and I needed to send a card to her. I thought this friend die was a perfect choice. The decorative paper that immediately came to mind when I saw the colors Maria chose was SU's retired Jersey Shore. I've always loved this paper! 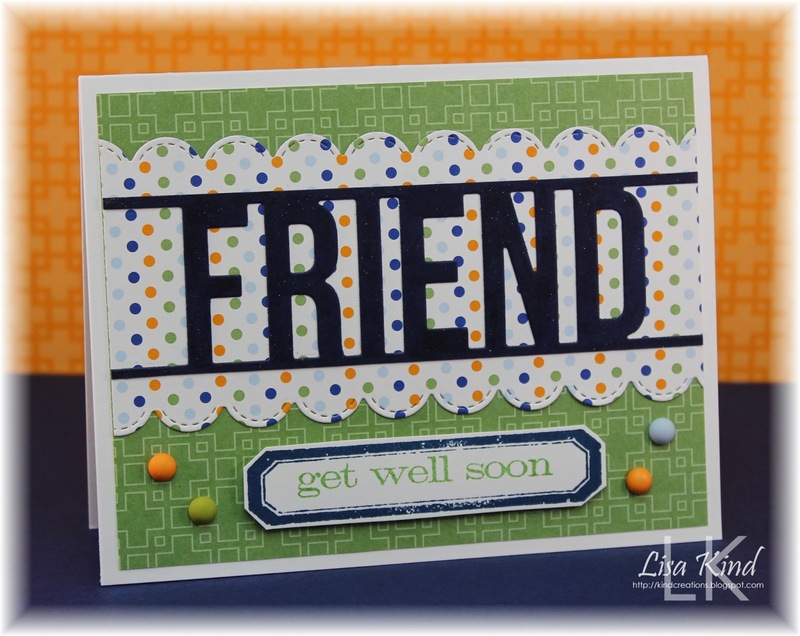 I die cut the friend die from navy cardstock and the dotted paper was die cut with the stitched scallop border die. The sentiment border and sentiment are from a Tim Holtz set. I added some Wink of Stella shimmer to the friend die and some candy dots. Have you seen the current Time Out Challenge? This is the beginning of the second week, so you still have time to play. 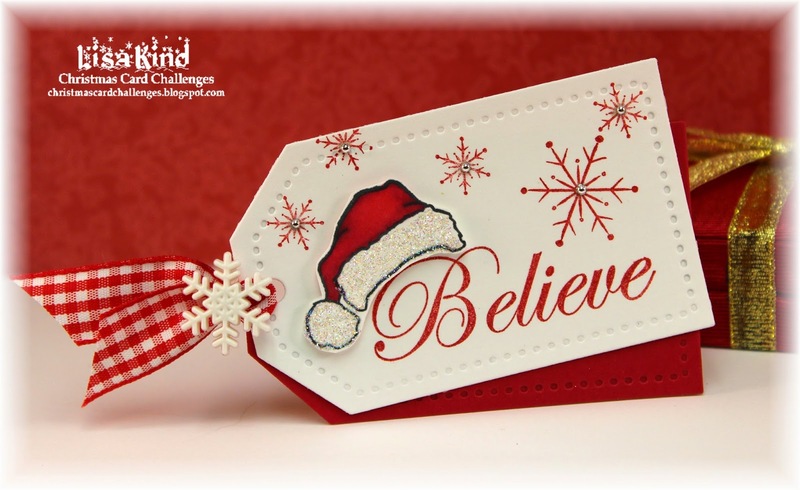 You can see more inspiration on the Time Out Challenge blog. Happy Sunday! Today I have another Christmas Card! I'm so happy to be continuing to make them so I don't freak out in December! 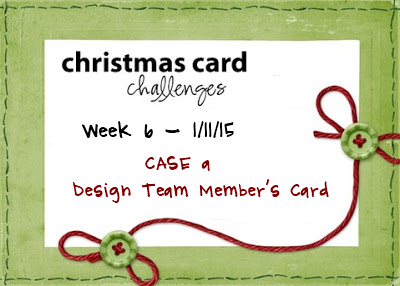 Over at Christmas Card Challenges, we are case-ing a DT member's card from their blog. I cased this pretty card by Alanna. You can find her post here. I loved the layout and the die cut. 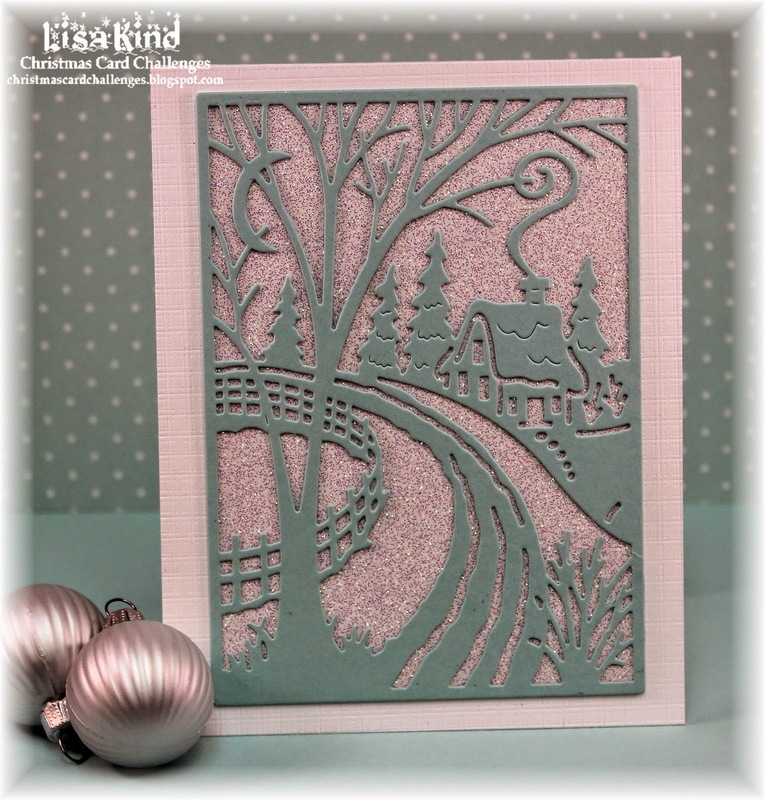 For the background, I used this embossing folder that I saw recently and had to have! 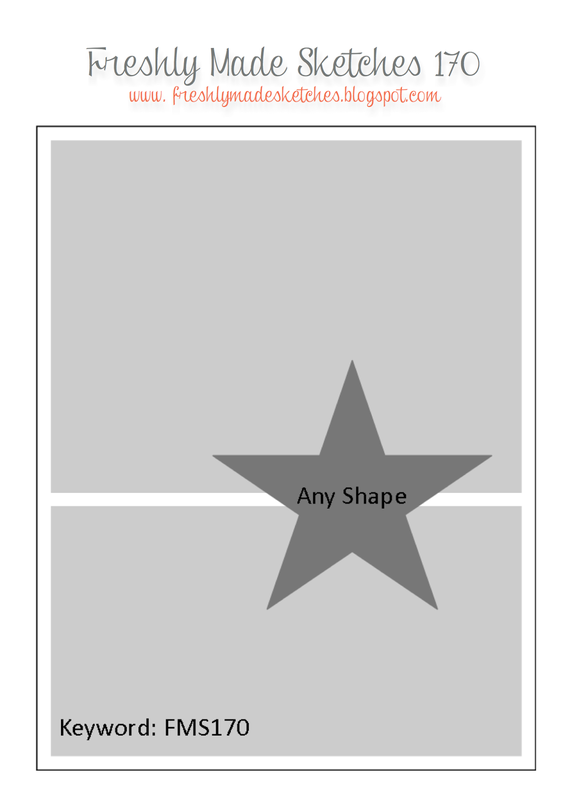 The circle was die cut with a stitched circle. I stamped the sentiment and added the die cut. It was cut four times and stacked together. I added clear sequins for more interest. You can see more cased cards from our design team on these blogs! Hi all! I hope you are all keeping warm in the deep freeze! It seems most of the USA is cold! We had a short snowstorm yesterday morning, so everything was closed...snow day! 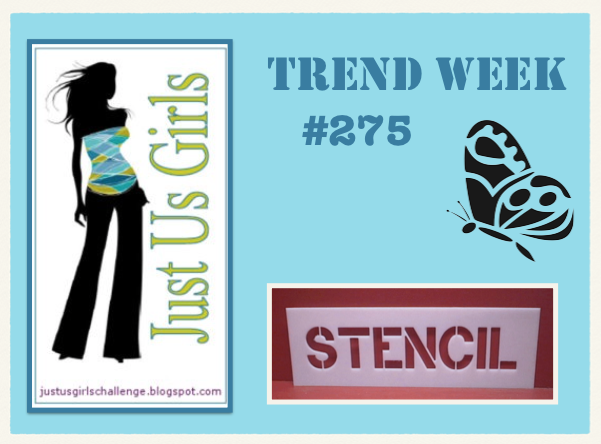 This week over at Just Us Girls, Sue chose using a stencil for our trend week. I couldn't be happier because I love stencils! I went through my many stencils and came across this one from Ranger's Dylusions collections. It's called Luscious Leaves because the other part of the stencil is a vine with leaves. Kind of a weird pair up with this one! 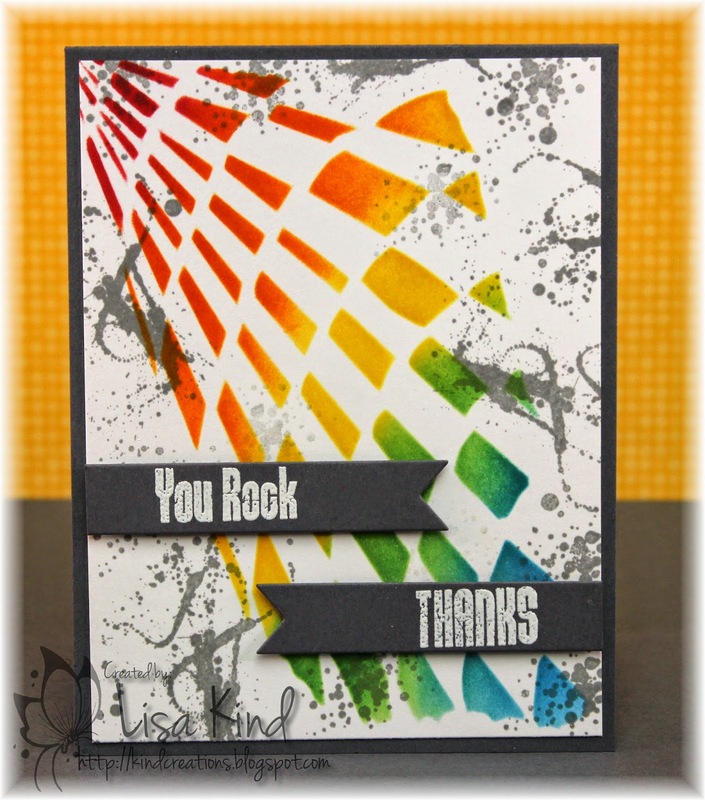 I used a rainbow of Distress inks to get this look. I had to find something to fill in the outer edges and took out the Grunge Me set from PTI and some gray ink and went to town stamping. The sentiment is from the same set. I die cut some banners and embossed the sentiments. This is a different style than I normally do, but I love the variety of stamping styles and I really like the way this came out! Hi everyone! I'm back to designing for the Time Out Challenge. I took a couple of months break to sort of regroup, but I love this challenge so much so I knew I had to only take a break. 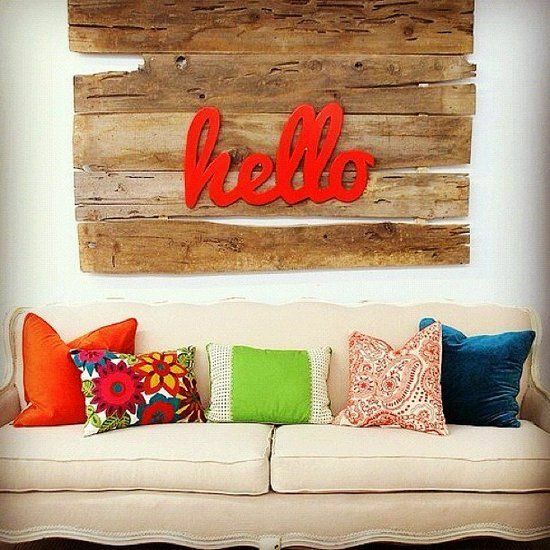 This week is our "Home Sweet Home" challenge where we provide a photo of a room and you use it as inspiration. Don't you just love this photo? I of course had to use the hello and the wood background. I found this paper in a paper pack and it did a lot of the work for me. I die cut the word three times from coral paper and stacked it. I added some Wink of Stella so it sparkled and added some enamel dots. Easy peasy when the paper does the work for you! -leave a comment on the Uniko main blog for a chance to win £15 GV. We will also have our regular Time Out winner. That winner will be a Guest Designer for a future Time Out Challenge! 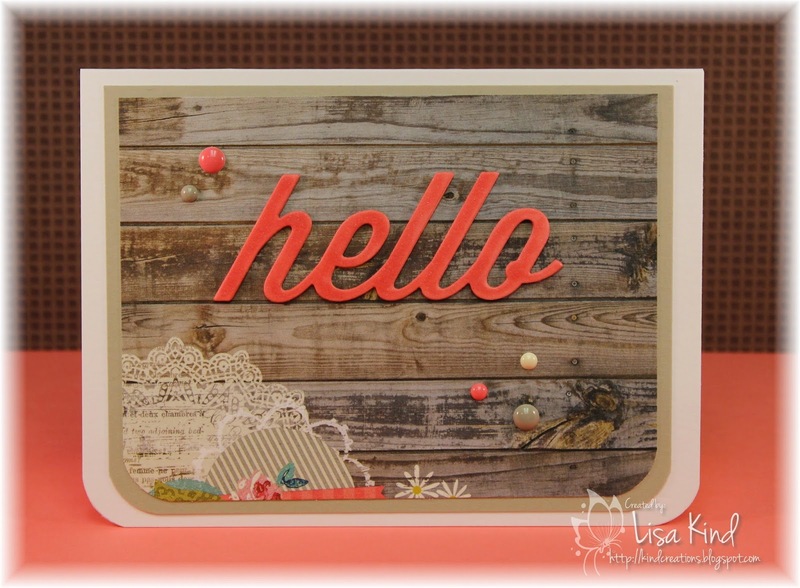 Also please welcome our guest designer joining us this week...Chrissie! 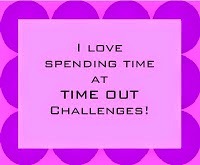 I hope you stop by the Time Out Challenge blog and play along. You'll see lots of inspiration from the design team. What will inspire you? Hi everyone! Well, vacation is over for me and it's back to work today! Sigh...it was such a nice break for me! Anyway, I made this card over the weekend for my friend Sharon. We went to NYC together the weekend after Thanksgiving and we had so much fun! I made a photo book of the pictures I took and I liked the way it came out so I made one for Sharon too. Her birthday was New Year's Day﻿ so I thought it would be a nice gift for her. And of course I had to make a card to go with it. 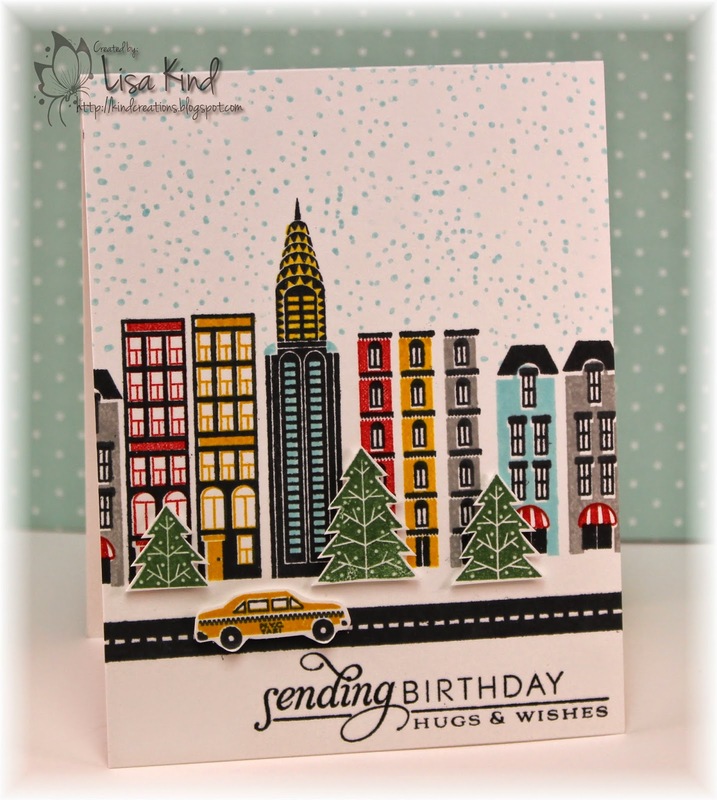 The City Scene stamp set from Papertrey Ink was perfect for the card! I totally cased a card that Laura Bassen did. While I was looking through the gallery for this set, I came across her card and just loved it. I don't have the dies for this set, so I had to fussy cut the car and trees. I'm still waiting for them to come back into stock. 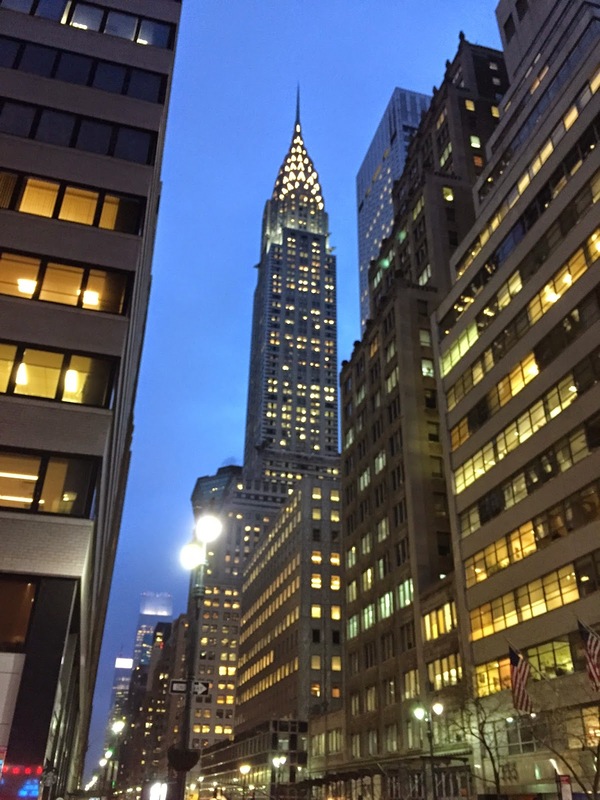 This is a picture I took of the Chrysler Building when we were there and Sharon really liked it. I was so happy to see that this building was in the stamp set! Happy Sunday! 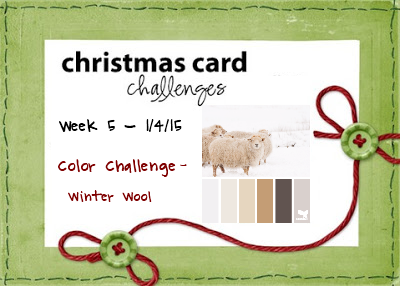 I'm here with the first Christmas Card Challenge for 2015! 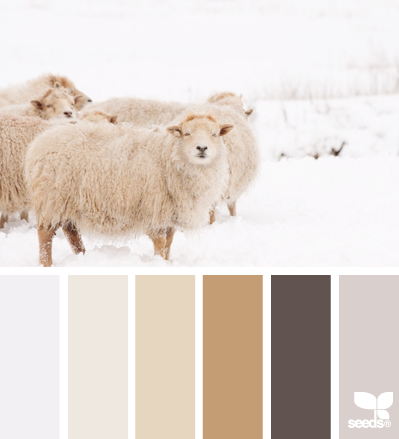 This week is a color challenge and we have some calm neutral colors for you. You can see more from the design teams on these blogs. Happy 2015! Are you ready for more great challenges from Just Us Girls this year? We'll have them for sure! 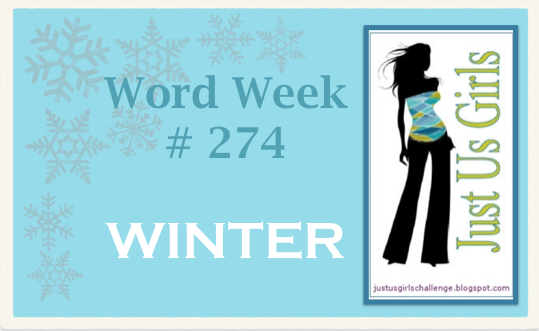 This week is our Word Week, and Sharyn has chosen the word "winter". I broke out this lovely set from WPlus9 for this challenge. I stamped the tree and snowflakes in Versamark then embossed them with white embossing powder. 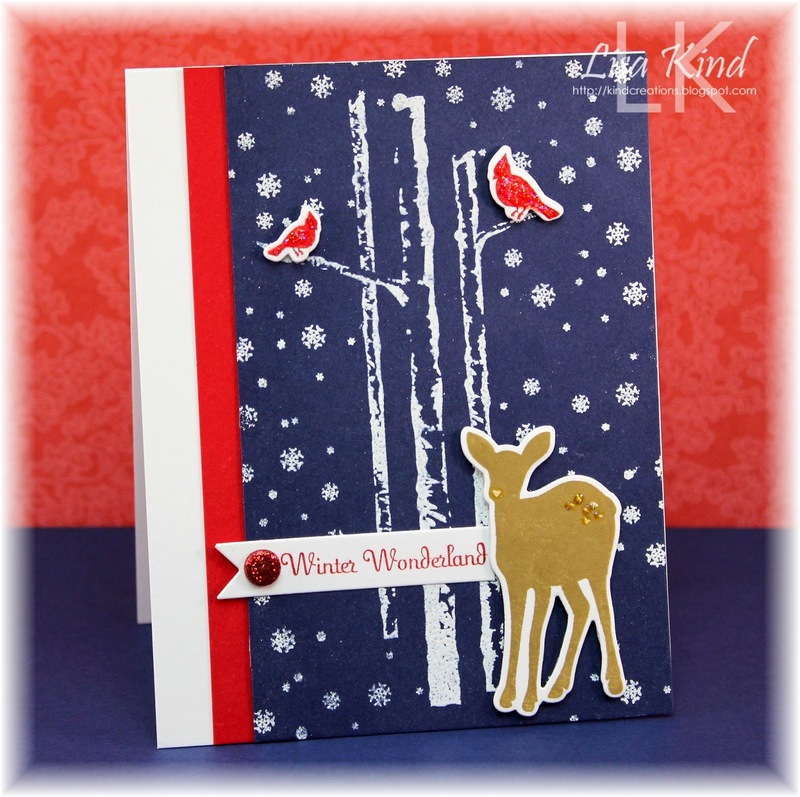 The birds and deer were stamped and die cut with the coordinating dies. I thought the sentiment was perfect for this scene and challenge. 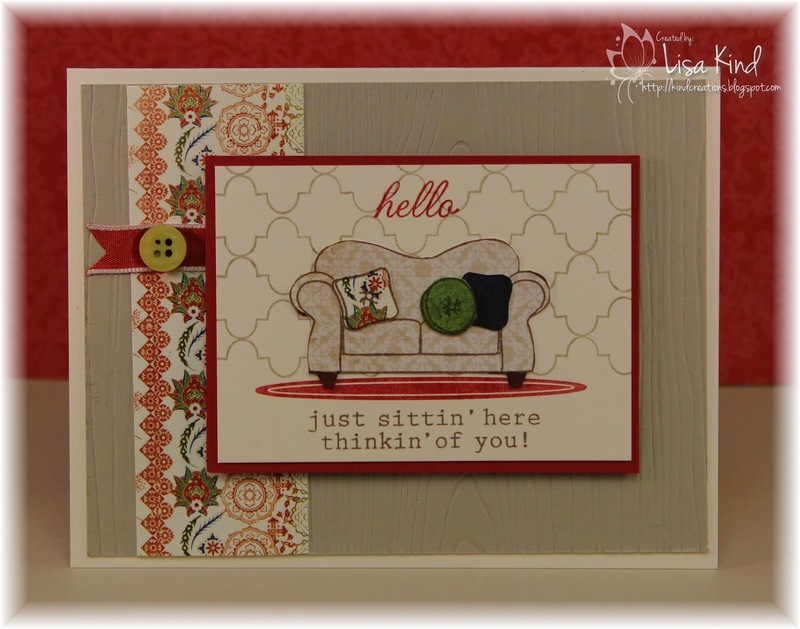 You can see more from the JUGs design team and our guest for this month.